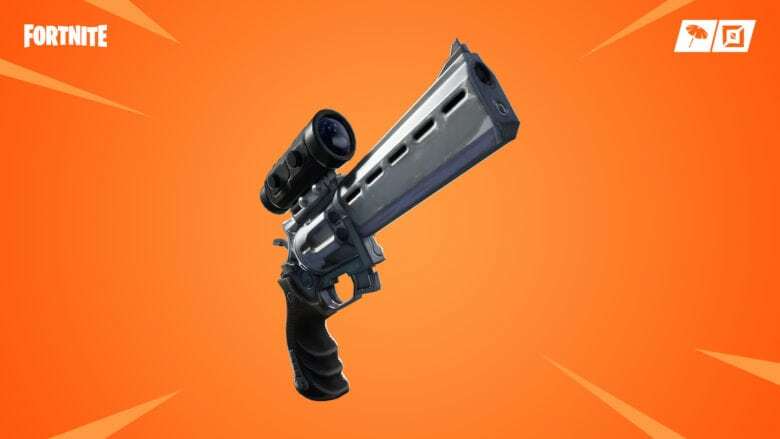 Get your hands on the scoped revolver today. Fortnite’s first big update of 2019 has landed, bringing brand new weapons and items, big improvements, and additional content for Creative mode. Players can jump in now to get their hands on the scoped revolver and glider redeploy. Fortnite continued to receive some small tweaks over the holiday season, but with Epic Games on a break, significant updates were on hold. Not anymore. Today’s 7.20 release brings big changes, with something for every Battle Royale player to look forward to. Perhaps the most exciting addition is the scoped revolver. Available in epic and legendary variants, it promises a precise shot, dealing 42/44 base damage with medium ammo. You’ll find the scoped revolver in chests, supply drops, vending machines, and on the floor. Glider redeploy has also returned, but it’s now an item that takes up an inventory slot. If you want to use it, you’ll have to find it and carry it; it’s not available to every player by default. The glider item is rare, but each comes with 10 charges. You don’t need to have it selected to use it — you just press jump in mid-air as you normally would — but each deploy uses one charge. Once you’re out of charges, the item will disappear, and you’ll continue to fall to the ground like normal. Epic has also tweaked the minigun in this release. It now overheats after around six seconds of continuous fire, but you won’t have to wait quite as long to wind it up anymore. Balloons and stink bombs will be easier to come by after having their rarities dropped from epic to rare, as will the scoped assault rifle, which is now available in uncommon and rare variants. Cozy campfires and launch pads will also be easier to find after having their drop chances increased, but mounted turrets won’t be quite as common. Other weapons in the sniper rifle class, including the hunting rifle and the new silenced sniper rifle, now have the same projectile trajectory as the heavy sniper. You can only carry six small shields in one inventory slot now, as opposed to 10. For the complete list of changes in this release, including all the bugs Epic has eliminated, check out the patch notes on the Fortnite blog. When you’re ready to try out the changes for yourself, you can download Fortnite 7.20 across all platforms now.